Since the Spring 2017 academic term just began, I thought it would be helpful to highlight what our faculty have been up to (at least as it pertains to publications) over the last year. One of the blessings of being at the Charlotte campus is that I get to serve with some of the finest faculty in the country in their respective fields. If you are planning to go to seminary, and you are making a decision this Spring, then hopefully this list will help! Why Should I Believe Christianity? (Christian Focus, 2016), by James Anderson, Associate Professor of Theology and Philosophy at RTS Charlotte. Anyone who knows Dr. Anderson knows that he is one of the brightest minds today in philosophical theology. And he has an ability to explain complex theological and philosophical issues to the layman. This book is no exception. One the best apologetics books in years. Prophet, Priest and King: The Roles of Christ in the Bible and Our Roles Today (P&R, 2016), by Richard P. Belcher, Jr., John and Francis Gwin Professor of Old Testament and Academic Dean at RTS Charlotte. Every once in a while a book comes along that meets such an important need that it makes you wonder, “Why hasn’t someone done this before?” This is one of those books. A book on the three offices of Christ is long over due. Until now. Unchanging Witness: The Consistent Teaching on Homosexuality in Scripture and Tradition (B&H Academic, 2016), by Don Fortson and Rollin Grams. 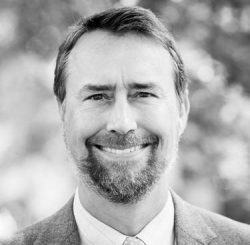 Dr. Fortson is Professor of Church History and Practical Theology at RTS Charlotte. In the midst of all the cultural noise over homosexuality, Dr. Fortson’s book is a breath of fresh air. This volume considers not only what the Bible says, but what Christians have said the Bible says throughout the ages. I know of no other recent volume that does this. It made it on a number of “Best of 2016” lists, including Kevin DeYoung’s and David Dockery’s. Liberty in Non-Essentials: The Story of the Evangelical Presbyterian Church (EPC, 2016), by Don Fortson, Professor of Church History and Practical Theology at RTS Charlotte. 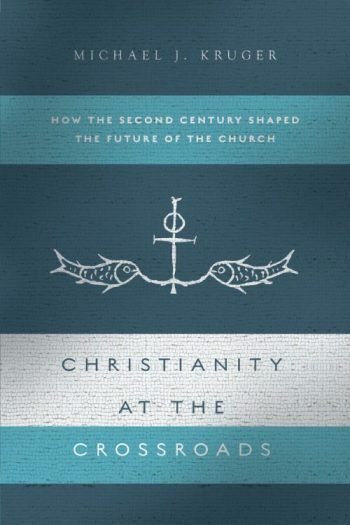 Dr. Fortson is not only a historian of the ancient church, he is also a historian of the modern church. Modern Presbyterianism in particular. This book catalogs the history of his denomination (EPC) and shows how it fits within the larger movement of Presbyterianism in the United States. A Biblical-Theological Introduction to the New Testament (Crossway, 2016), ed. by Michael J. Kruger, President and Samuel C. Patterson Professor of New Testament and Early Christianity at RTS Charlotte. Although there are many worthy NT Intro’s out there, we wanted to do something that few of them do, namely focus on the message of each NT book, and the place of that book within redemptive history. We put less attention on higher-critical background issues and more attention on content. Contributors are all RTS faculty members (past and present). It also made a number of “Best of 2016” lists, including Kevin DeYoung’s and David Dockery’s. Help! I Need a Church (Shepherd Press, 2016), by Jim Newheiser, Associate Professor of Christian Counseling and Practical Theology at RTS Charlotte. One of the most common questions I get is, “How do I pick a good church?” Dr. Newheiser brings nearly 30 years of pastoral experience as he answers this critical question. This little book is densely packed with wisdom and biblical guidance. Is there a full study on rewards that is available?